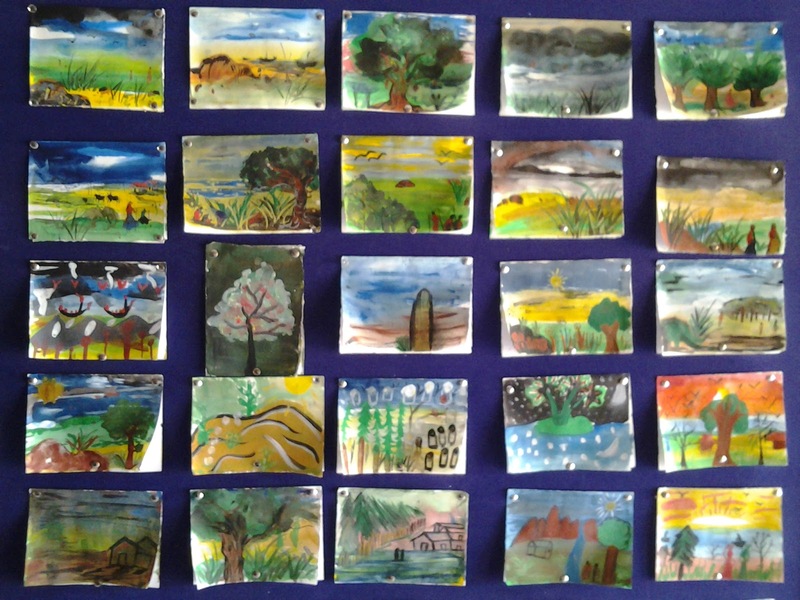 5 Aug - 8 Aug : Mr. Ashok Hazra conducted Art Workshop in the school from 5 Aug to 8 Aug. The participants of the workshop were students of class I to class IX. He has also kindly agreed to assist in setting up an Art School at the new campus in Bali. Mr Atul Bhatt organised this event. 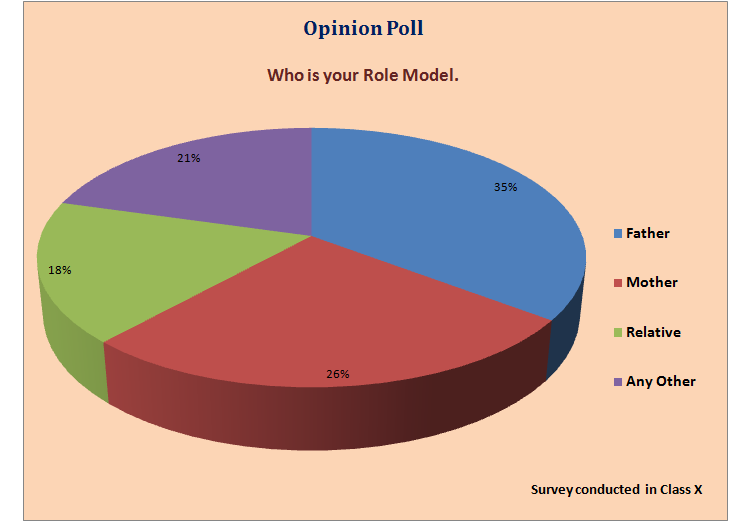 9 Aug : A Survey was conducted in class X and this was the Outcome. 10 Aug : The new Editorial Board was formed with 22 students with 11 students in each section. Nikhil Soni and Hema Choudhary are elected as the chief editor for the English Section and Shraddha Kansara & Naushad Ali for Hindi Section. Rest of the students are given their respective duties. Ans : I am one of the 15th contemporary artist of the country. 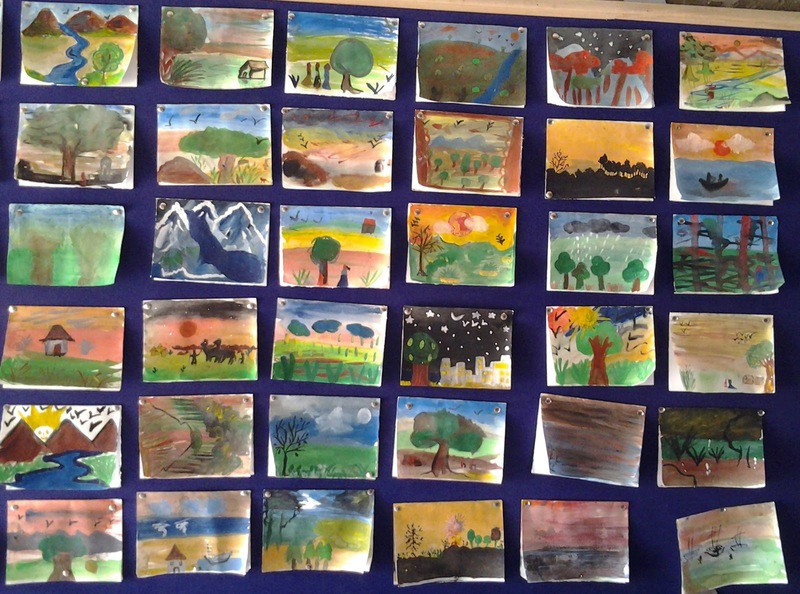 Nowadays I am educating children art after retirement in various school to promote child art. Bonsai Plant is my passion. I also love to collect stamps. Q : How has art changed from your childhood days till today? Ans : Lot of things have changed. Religious, subjective and landscape paintings have changed in modern time in a very contemporary manner so now art is individual perspective. It can be identified who the artist is , whose style and subject matter. This is very important not only in art, but also in drama cinema , even in literature to have an individual perspective. Q : What are the qualities of a good artist? Ans : The quality of a good artist is the sense of visual art & in performing art it should totally creative outlook and individuality should be there. It should not be copied or sheep walk. Definite style should be developed. Q : Can children make career in art ? Ans : 100% they can make career in art. Q : How did you find our children? Ans : Creativity is already there. They need to be motivated, nurtured & their creative ability has to be framed. Greeting Cards made by Students in the guidance of Mr. Ashok Hazara. Compiled by Bharati Rao and published every week.